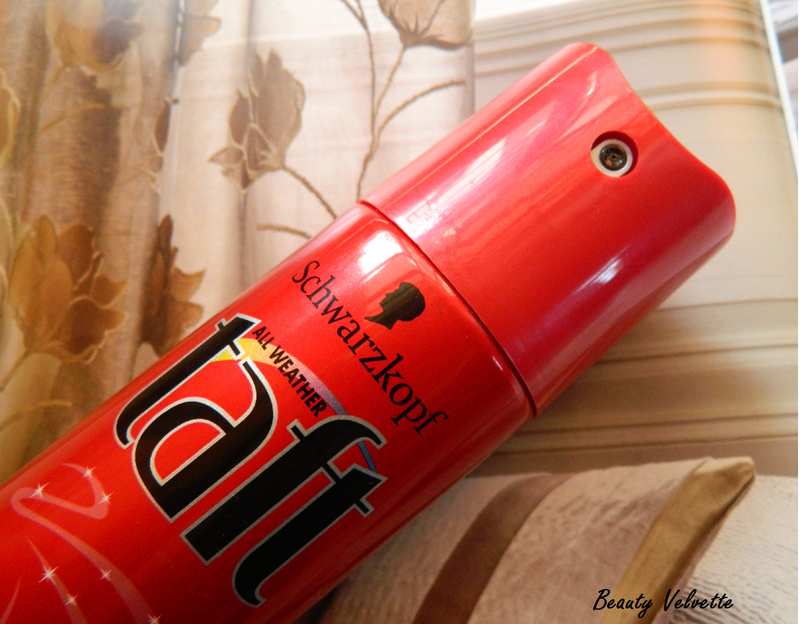 Today on Beauty Velvette, I am reviewing Schwarzkopf All Weather TAFT Hair Lacquer. 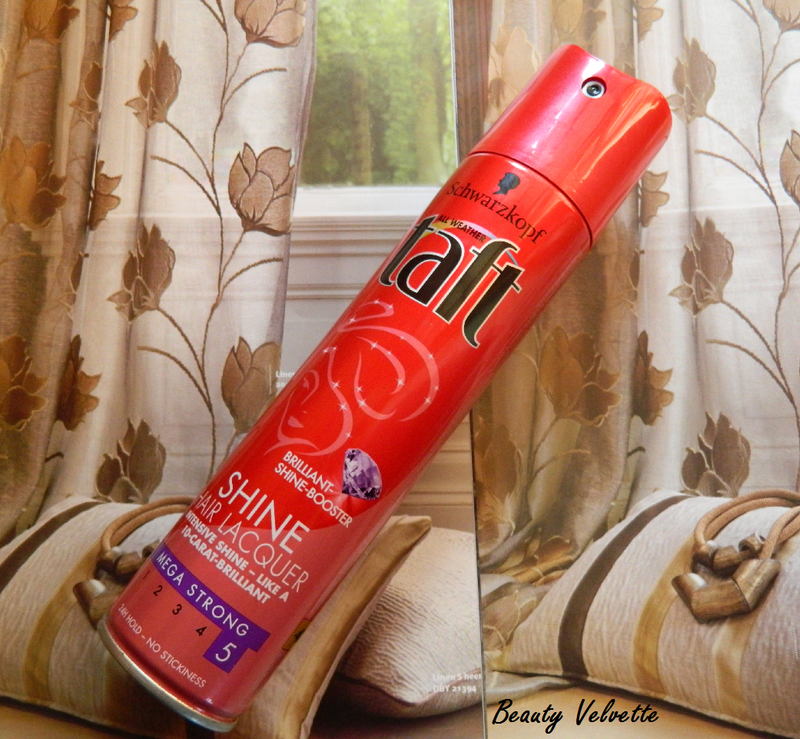 With Brilliant Shine booster for intensive shine. 24 Hr hold without stickiness, no residues, easily brushed out. Does not weigh down your hair and protects them from dryness. 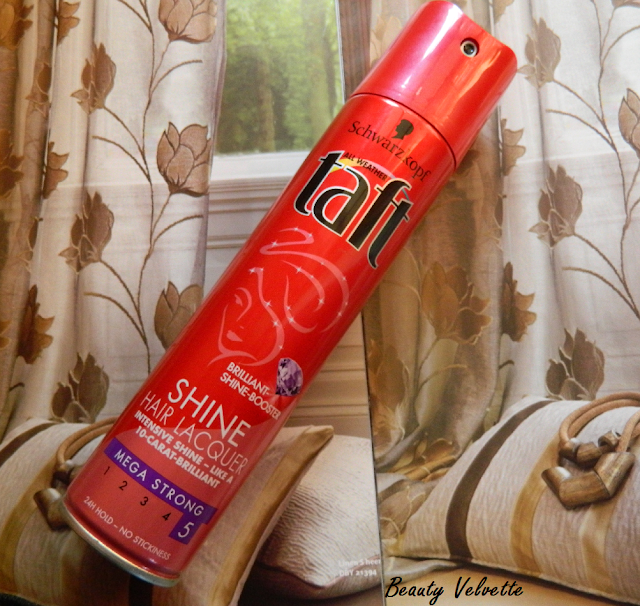 The special All weather taft formula protects your hair against wind and humidity and helps protect against UV rays. For Volume, spray directly towards the roots. This Hair Lacquer comes in a cylindrical aluminium Can with an attractive Red clothing and a spray on nozzle. Is light weight and easy to use. Schwarzkopf All Weather Taft Hair Lacquer claims many things but doesn't lives up to most of them. My hair is Dry and Limp and I bought this product thinking that it'll sprinkle those shining crystals on my Hair making them appear attractive but it came out to be a dud. I couldn't see an iota of shine in my hair after spraying it and to make the case worse, it made my hair all the more drier to touch and feel. However, it didn't weight down my hair, didn't make my hair feel sticky or left any residue behind. The product also claims to provide 24 Hr strong hold to your styled hair but it doesn't give more than 4-5 Hr hold. Another feature of this product is that it also provides Volume to the hair and it fares a l'il better in this claim as it does gives a decent volume to the hair when sprayed on the roots. The Quantity ( 250 ml ) of the product is quite a lot against the price tag of Rs 250/- and due to this the Quality of the product has suffered. I am totally disappointed with this Lacquer and do not recommend it.